Throwback Thursday " Class of 1931"
How gorgeous is this photo? I was going through my Aunt's album, where so many wonderful photos were kept, in pretty good condition. 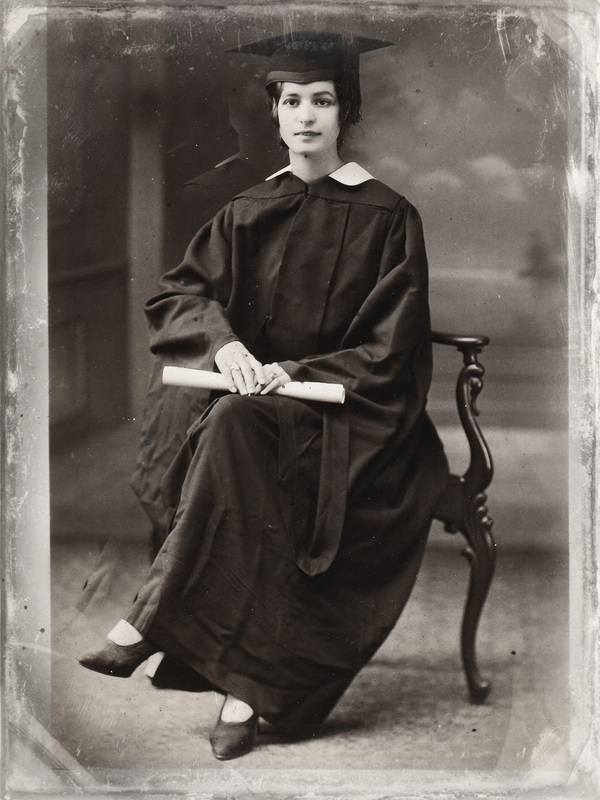 I am not sure who this lady is, from the Class of 1931, but she sure is pretty. It may have been a friend of my Aunt's, so many have name's on them, but this one didn't. I love her shoes and the short bob looks like it was in fashion. The cap and gown look much better made than those of today! I hope you have enjoyed this vintage gem!